Shark Tank has been a hit show now for years and I've enjoyed every episode. 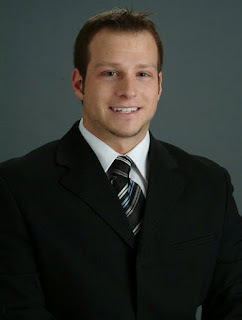 The six main investor Sharks have very diverse backgrounds, skill sets, and investment perspectives.While most people usually think of Mark Cuban as the biggest (and wealthiest) shark, I've always focused more on the miserly "Mr. 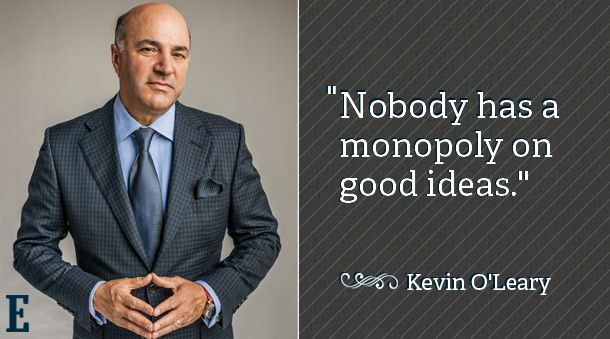 Wonderful" Kevin O'Leary. This Canadian turned Bostonian is "the only disciplined investor in the Shark Tank" as he likes to say. He's almost the antithesis of QVC Queen Lori Greiner who is most often very encouraging and passionate about the presenting entrepreneurs. Some business plans or models, at best, could be successful but at the expense of a very lengthy struggle. Entrepreneurs can work 80 hour 20 years (if their business is successful) and still only have moderate success. "You'll be dead before you make any money" as Kevin likes to say. Licensing, if possible, can be the smartest solution. Or have a reasonable exit strategy. Work smarter, not harder. Fail quickly and cheaply if you must, and move on to the next project. "I weep for the money that died here today" and "Pigs get slaughtered. Don't get greedy." are some of his most common sentiments when an entrepreneur states a high company valuation or turns down an offer. He does often bully people with these statements, but other times he's correct. You can't be ridiculous when it comes to company valuation, and sometimes it's best to compromise and take a reasonable investment offer from a "Shark" instead of asking too much and losing everything. Money is hard to come by, so take it seriously and don't scoff at what could be your lifeline. Kevin learned early in his teen years that he wanted to be the employer and not the employee. While the employee usually gets a guaranteed check and less headaches, the entrepreneur in charge can enjoy the real upside. There are people that need direction, and then there are leaders. Determine which one you are to avoid frustration and failure. When it comes to investing in a business, it's all about the numbers. What are your sales? How much debt do you have? What was your initial investment? What are your production costs and how much do you sell it for? While businesses can always be on the rise or decline, the current numbers of an operation are critical in determining valuation and the chances of success. This is a painful principle but every entrepreneur needs to take a good look in the mirror and ask themselves exactly what makes them special and irreplaceable. Can your work be replicated and at what cost? Is your business or product proprietary with intellectual property such as registered trademarks or patents? Most entrepreneurs believe nobody else can do what they do but Mr. Wonderful points out that for a few hundred thousand dollars or a couple million, he could do the same thing and wipe you out. If you don't want to be replaceable, you have to have extraordinary knowledge of your business and passion to help you rise above enormous competition. This is something he likes to remind hopeful or struggling entrepreneurs that are whining. All of us that have started their own businesses, or managed critical departments of a business, can completely understand where he is coming from. Entrepreneurship and business ownership can in fact be a battlefield where one can become wounded or destroyed financially or emotionally. Business ownership has severely damaged many lives, sometimes leading to divorce, bankruptcy, or worse. You have to prepare to fight for every sale and every dollar while understanding the required sacrifices. Here is a little bit of a different lesson I've learned. Sometimes an entrepreneur is just in the right place at the right time, and things click. Take Kevin's sale of The Learning Company to Mattel. It was a time where Mattel was looking to expand digitally, and they bought his company for an enormous $4 Billion. That deal could have easily folded, and Mattel realized shortly after that they would have been much better off without the deal. Some people get lucky and get in early with the right product, the right company, and the right financial situation. The cream usually does rise to the top, but if you honestly asked every successful businessman, I believe every one of them would say that at some point in their career they had a little bit of luck contributing to their business success. It's not always about dollars and cents every second of every day. Some businesses do have the passion and innovation that can't always be quantified or put into a spreadsheet. Some people love their work and are OK with working hard and achieving their own version of success. Not all businesses are going to look incredible on paper but that doesn't mean they aren't viable. Think of companies that started modestly or poorly like Apple, Google, Amazon, Facebook, Twitter, and thousands of other underdogs. A stingy and conservative investor would have passed on most of these companies and lose out on millions of dollars. Also, if you treat everyone like a number or a statistic, a lot of people are probably going to hate you and that does not usually bode well in the business world. An entrepreneur or business plan that isn't a "sure thing" might end up surprising you and being the best investment you ever made. We all know that part of his attitude on the show is a self-promotional stunt, which he has expertly used to boost show ratings and leverage a new larger-than-life celebrity for his many business adventures such as O'Leary Funds, O'Leary Wines, New York Times best-selling published books, and his hundreds of media appearances. But we also know that the majority of his investment style is his upbringing and what has been his experience in business. He's not always the nicest guy, but he does have a great deal to teach many of us and benefit our own entrepreneurial journey. 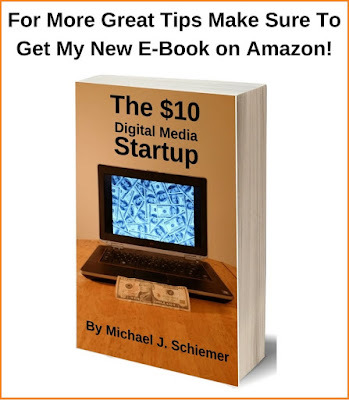 Keep reading Bootstrap Business, share with your friends, and follow me on social media... or you're dead to me! 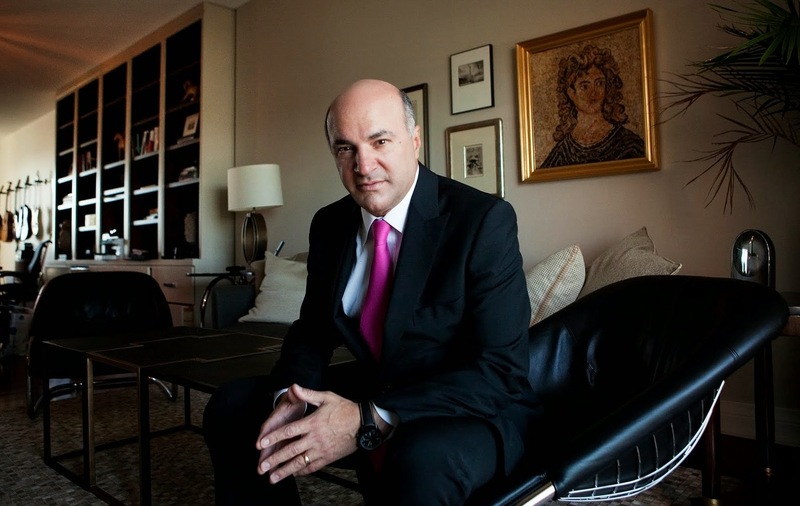 UPDATE: I now hear that Kevin O'Leary is being considered the "Canadian Donald Trump" and will be running for office. I'll have to write a follow-up article on that in the near future. 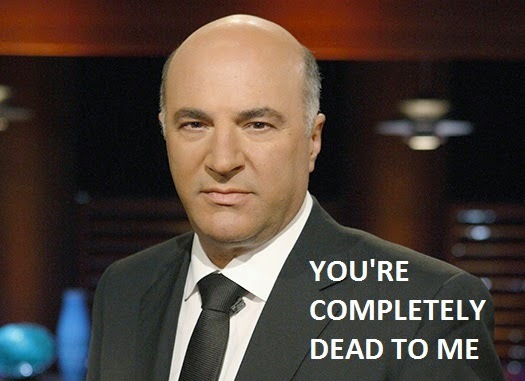 I hope you enjoyed the money lessons I've learned over the years courtesy of Mr Wonderful himself Kevin O'Leary from Shark Tank and Dragon's Den. Want More Shark Tank Nation Inspiration?